In order to meet state environmental protection, The macro-control policy of energy saving and emission reduction, Meet the country’s solid waste reduction, recycling and resource recovery requirements, From the economic profits of carbonization project analysis report and the protection of arable land, conserve energy and improve the environment of social benefits, Companies decided to invest in annual processing capacity of 60,000 tons of flammable solid waste treatment project to conduct a feasibility study on carbonizer. Combustible garbage carbonization treatment project mainly uses combustible waste as raw materials. 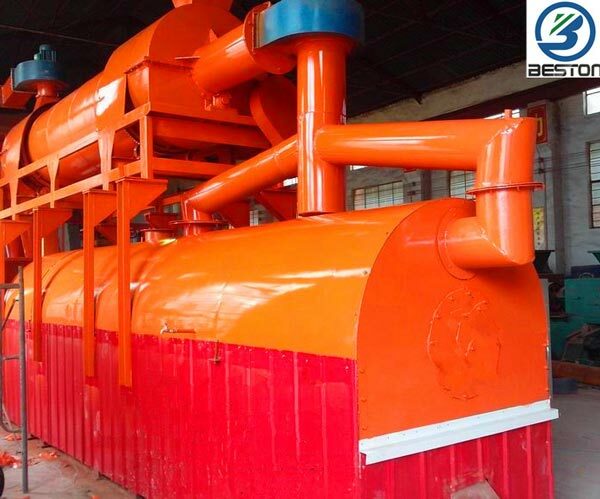 It belongs to waste treatment technology and can produce charcoal through the high temperature pyrolysis, gas volatile, sulfur release and carbon enrichment. Garbage carbonization technology can be reduced the pollution and waste of combustible waste to turn waste into treasure. By-product of garbage carbonization process, fixed carbon content of charcoal is high (about 90%), which is twice times than coal (coal-fired fixed carbon content of 55%). With the good flammability, this kind of charcooal is a new advanced fuels. 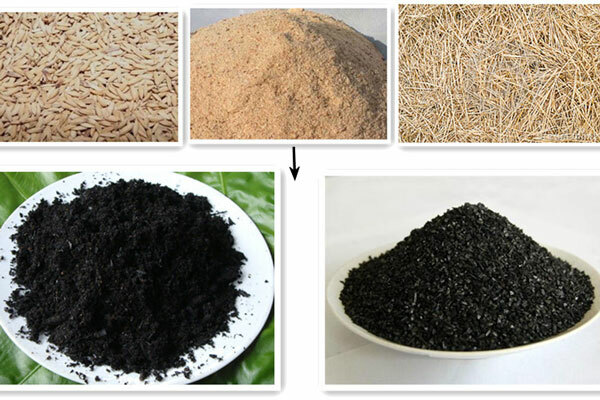 Meanwhile the rubbish partial carbonization is also the ideal material for adsorption of activated carbon. Survey: Since the late 19th century, China’s middle and small cities continuously the construction of more than 100 hectares of landfills more than 400 seats, Covers an area of tens of thousands of hectares of land, All day and smell the nostrils, Sewage slaudge, Serious threat to residents living and production, therefore, badly need for landfill excavation, sifting garbage of different ingredients, and refusing harmless treatment and resource utilization. If garbage carbonizing treatment technology which about 2 million cubic meters of combustible waste harmless after carbonization treatment of about 1 million tons, only accounted for more than 70 hectares of conservation, economic and social benefits can be gauged; this example serves to illustrate the garbage carbonization treatment technology of huge market demand, economic benefits, social benefits are the market structure adjustment in China highlighted another emerging Sun occurs during project. Production sites according to local conditions, make full use of abundant, roads built where convenient, reducing investment in the project. Raw materials used in the production of urban refuse and industrial paper and other combustible organic materials. 1．Waste inorganic constituents of less than or equal to 5%. 2．Lime: CaO content greater than 40%. Combustible garbage: from the transit of waste transfer station or landfill digging. Used cars shipped to the factory, the factory price of 0. Lime: the use of nearby factories to produce raw lime powder. Used cars shipped to the refinery, the factory price of 500 Yuan/ton. 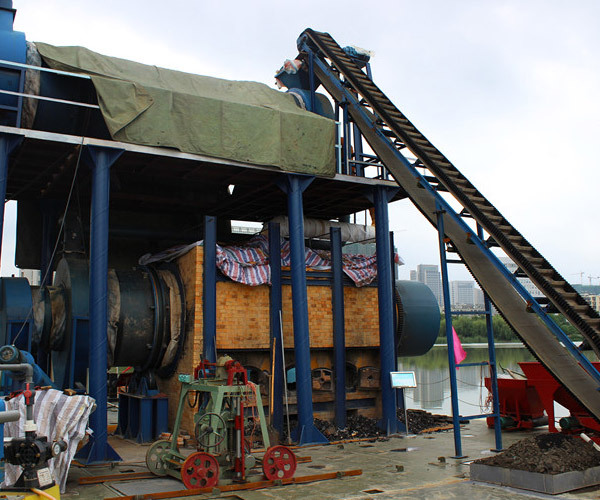 Processing products: combustion of municipal solid waste charcoal production equipment is about 60,000 tons a year. After processing raw materials and reduced in size by more than 90%, flue gas emissions reached EU2000/76/EC or GB13271-2001 standards, the treated “man-made carbon” fixed carbon content reaches more than 75%. This machine adopts the design of double layer and multi passage. It is mainly composed of drier, carbonizing machine and other auxiliary equipments. Double-layer design make the lower part of the machine contact the hot air as much as possible, this design is helpful to raise the heat utilization efficiency from the beginning. 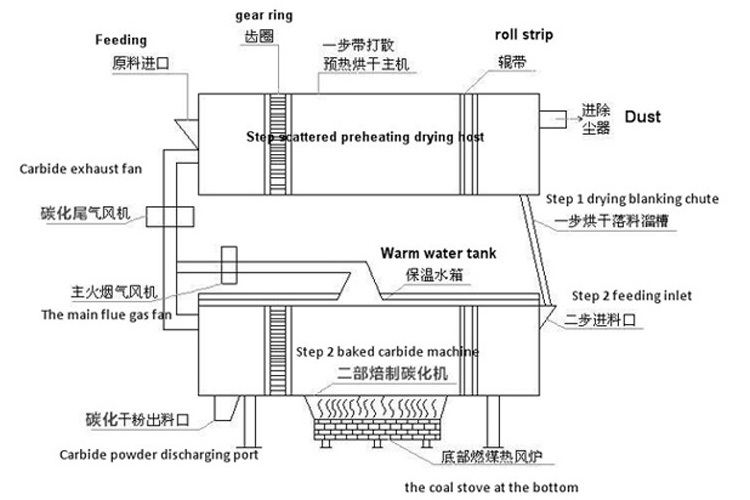 The lower layer equipments utilize residue heat in carbonizing gas to flash steam the materials. This is the second stage to raise the utilization efficiency of heat. 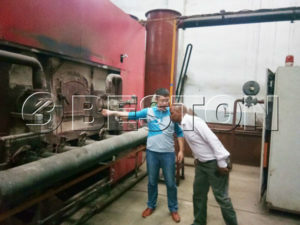 The optimized and concentration multi-pipe design of hot exhaust gas (generated from gasifier or hot blast heater) recycling pipe, carbonizing and fission heat collecting pipe, flash steaming steam collecting pipe, combustion emission collecting pipe can raise the heat utilization efficiency in the third time. After three time of optimized usage of heat, the temperature of the emission gas is below 100 centigrade. Under the inspection of related institutes, the heat use ratio of our equipment is over 85%. Our equipment is called perfect flax stem carbonization equipment by Erie flax factory in Xinjiang province. (3) the atmospheric pollutant emission standard of boilers GB13271-2001 table 1 “second-level” standard. Combustible garbage carbonization process energy consumption compared with the incinerator and burned trash, energy saving rate below 120% if compared with traditional landfill, saves 95% of disputes over land. Combustible garbage carbonization process is fully implemented, “reduction”, “harmless” and “resources”. Combination of these, combustible garbage carbonization treatment compares with any kind of approach are the most ideal, one of the greenest, most energy-efficient, most scientific approach, average energy efficiency of more than 110%. Beston renewable energy equipment CO,. Ltd is a professional carbonization machine manufacturer and supplier of Sludge Treatment Equipment, Waste Carbonization Furnace, Agro Waste Carbonization Furnace and Wood Carbonization Furnace. And they have been exported to America, Poland, Turkey, Canada, Peru, Africa, Southeast Asia, etc. Our products convert waste to wealth and improve human living environment. If you are interested in our products and would like to get further information about our company, please feel free to contact us. Meanwhile, we are looking forward to your visiting!